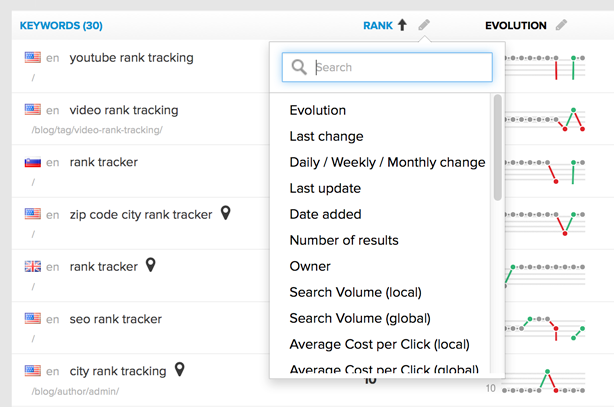 One of the great assets of RankTrackr is the ability to customize the columns for displaying preferred data. As different SEO experts are interested in different kinds of information, we came up with this concept to make tracking more transparent and efficient. Choose the data that you want to see in the column.